Starbucks has brought back a favorite coffee from March of this year: Whiskey Barrel-Aged Sulawesi returns. This is an incredibly aromatic, flavorful Sulawesi coffee with lots of whiskey flavor notes due to the process of aging it in authentic wooden whiskey barrels. 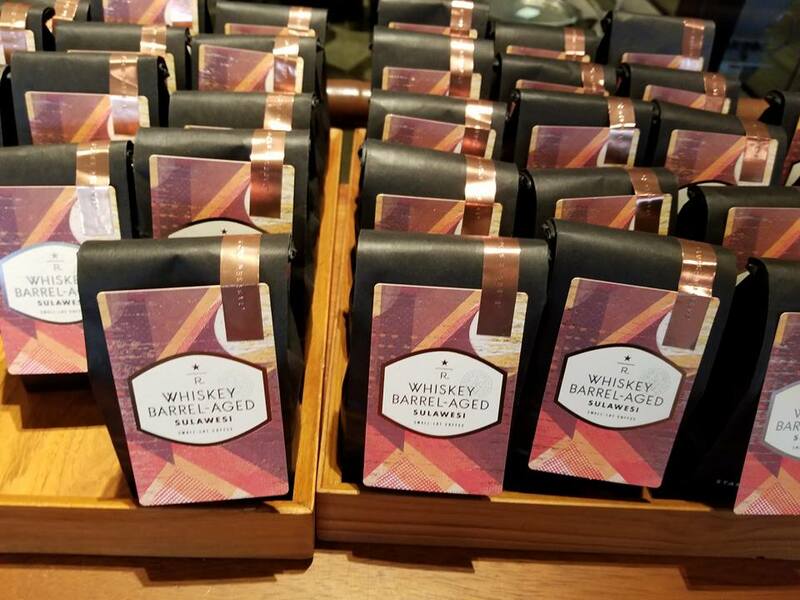 It’s available as a cold brew option at select Reserve bars, and you can find it right now as whole bean at the Starbucks Reserve Roastery and Tasting Room at 1124 Pike Street in Seattle. The whole Whiskey Barrel-Aged Sulawesi retails for about $32 for 8 ounces. Starbucks uses Sulawesi coffee and ages it for a period of time (they’ve never been too specific but in March the company hinted that it was roughly a 3 month aging period) and then blends it with a small amount of un-aged Sulawesi. The aromas, flavors, and distinctiveness of the whiskey are so powerful that it this magical coffee has to be blended with some un-aged Sulawesi to avoid a too powerful and overwhelming flavor. The aroma and flavors are so powerful that if you’re buying it whole bean at the Roastery, Starbucks recommends that you have it ground at the Roastery as they have separate, dedicated grinders for this coffee. If you just grind in a typical grinder, you may affect the flavor of subsequent coffees (absent a terrific cleaning of your grinder). Honestly this is a must-try coffee innovation. It really is like drinking cold, whiskey-infused coffee without any alcohol. 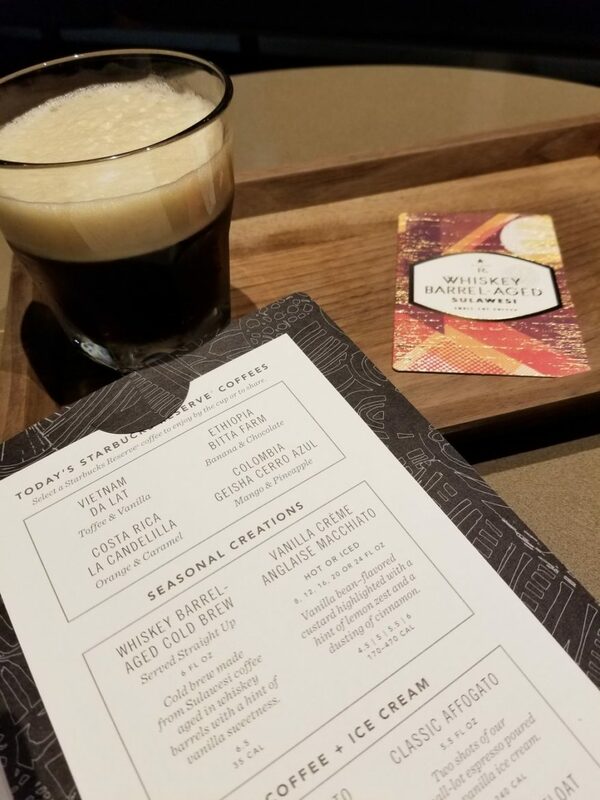 At the Reserve Bars, the Whiskey Barrel-Aged Cold Brew is served “Shakerato” style, meaning well-shaken and strained through ice. 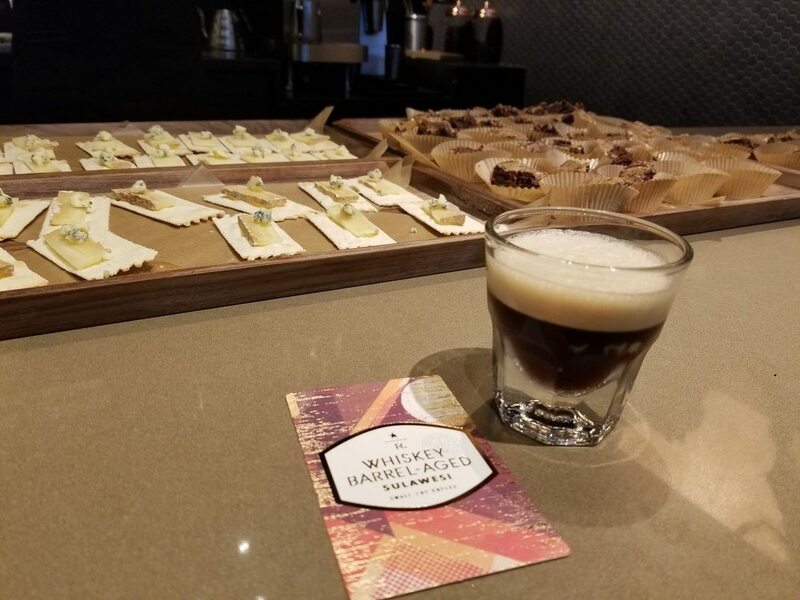 I went to a great coffee seminar for this coffee on September 6, 2017 (at the 1st and University Reserve Bar here in Seattle) which highlighted that this coffee can easily be paired with both sweet and savory. The cold brew is extremely versatile. The brownies at the coffee seminar were homemade double fudge brownies with barrel aged cold brew glaze, created by a partner in the store.. The crackers and cheese were both from DeLaurenti Specialty Food and Wine store located at Pike Place Market. The crackers were lightly salted and the cheese was Le Berger Basque cheese, which is a raw sheep’s milk cheese. And there was a slice of Stilton cheese on the cracker which is a form of blue cheese. 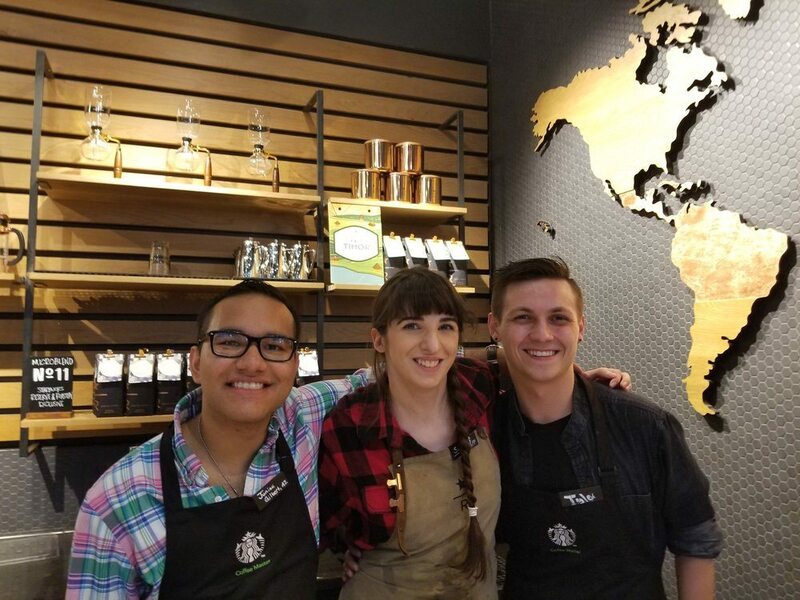 Congratulations to the store partners for a fantastic presentation! I hope you get the chance to try Whiskey Barrel-Aged Sulawesi. St. Helena coffee - extremely rare micro lot coffee - returns to the Roastery! 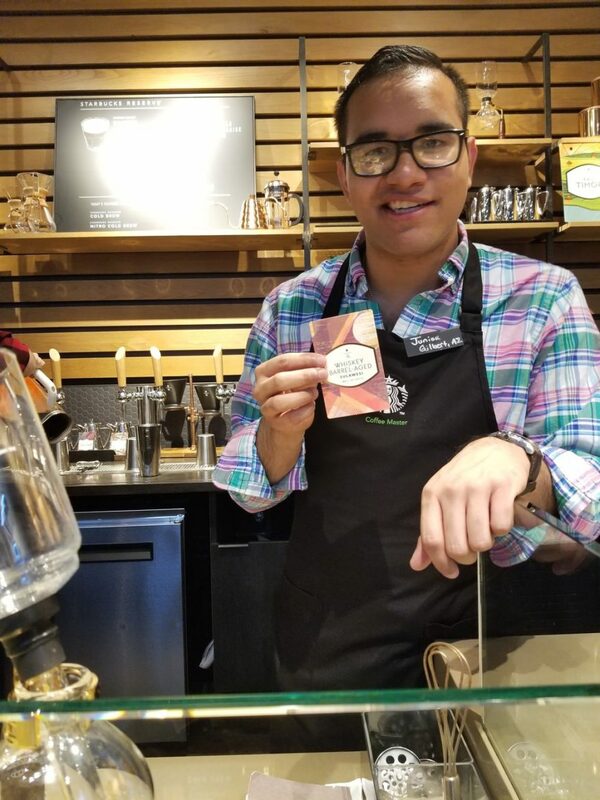 Tips and tricks for an amazing coffee tasting event. Definitely interested in getting some, but still stuck in Ohio. I need to find a coffee friend in Seattle. Sounds delicious. I like the food pairing information. Seems like a versatile drink option for a party (if I would be willing to share.) Sadly, no Reserve Bars nearby. @Tex – Well your shortest trip to try this would be the nearest Reserve Bar that has it. That might not be Seattle. But if you’re ever in Seattle, let’s do coffee! When I rack up enough frequent flier miles for a free trip to Seattle, I need to plan out a “junket” to most efficiently use up my 2000 stars on my account (16 free drinks)… rest assured none will be wasted on Dairy Siren…. Really want to experience the flavor. Starbucks is my absolute go to beverge. I could only buy a cup in an airplane terminal. Now it is avalible in my city. Sounds so delicious. Starbucks is my go to guilty pleasure. 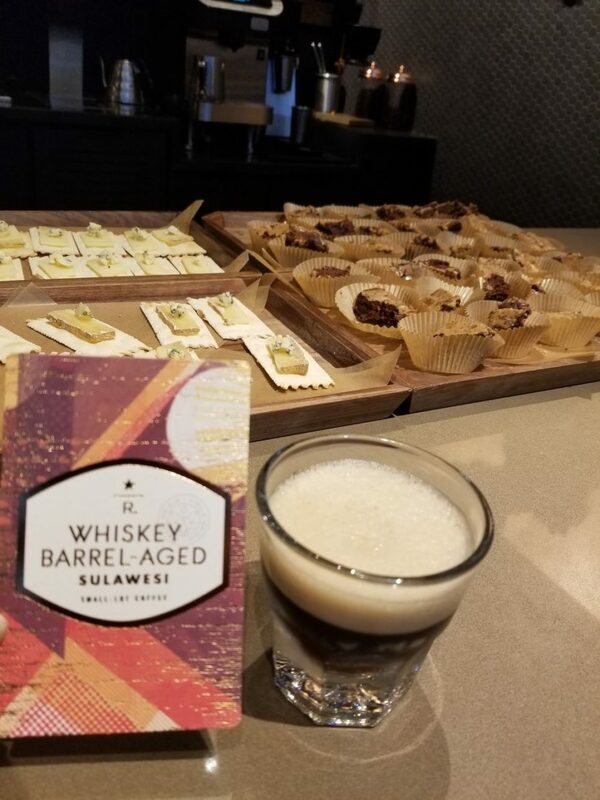 I just visited the Seattle Reserve Roastery on Pike today and purchased a bag of this beautiful whiskey barrel-aged coffee after I tried it presented as a cold brew. Amazing!